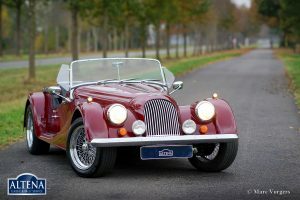 Morgan +8 ‘wide body’, year 1995. 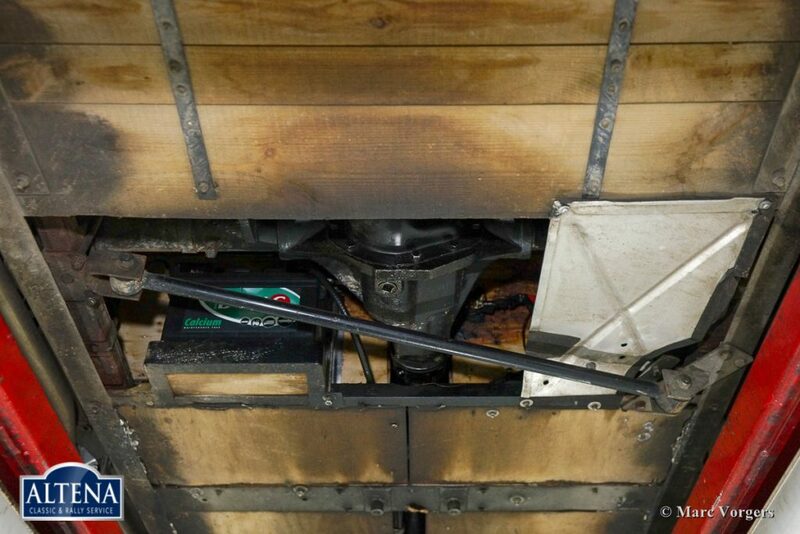 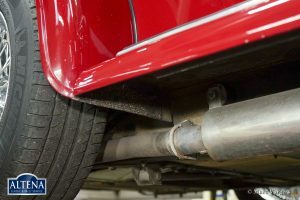 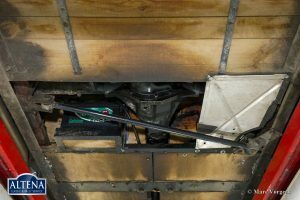 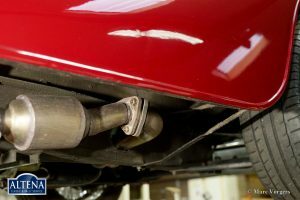 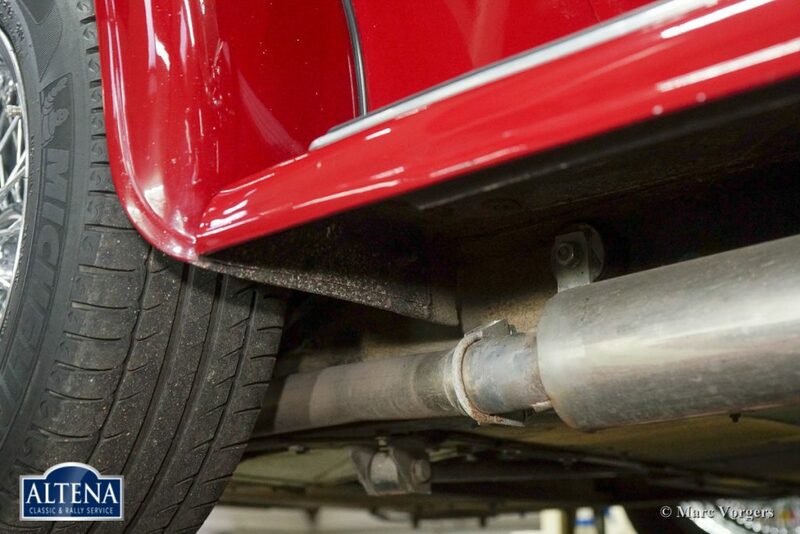 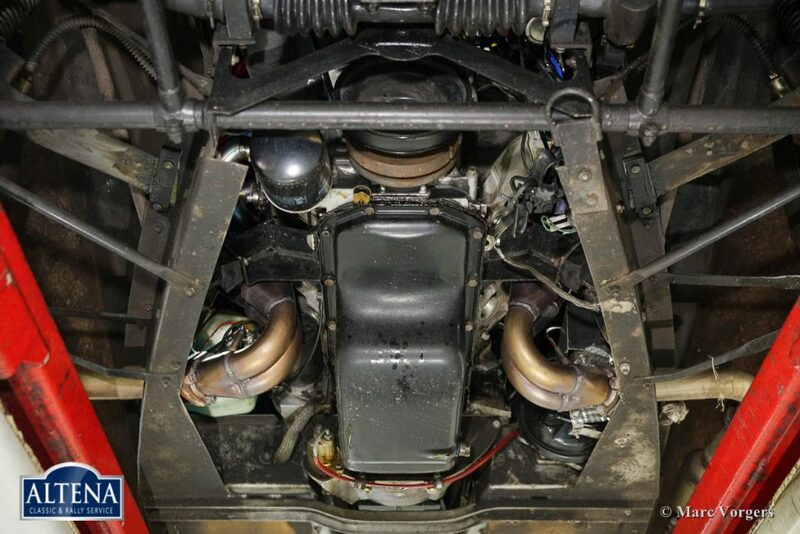 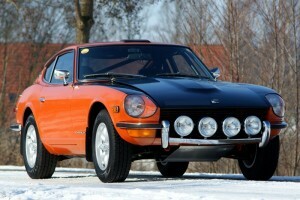 Chassis number R11328. 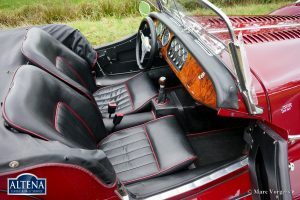 Colour dark red with a black leather interior. 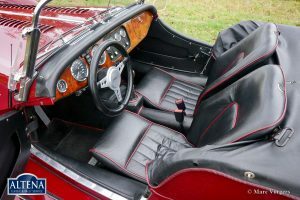 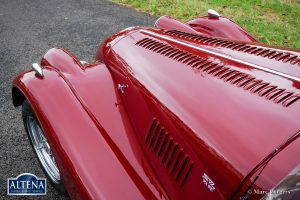 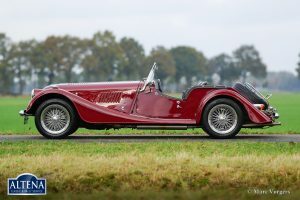 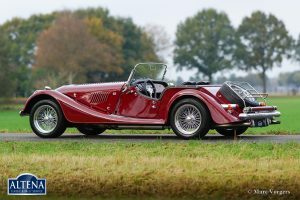 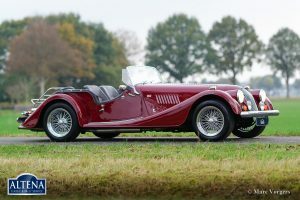 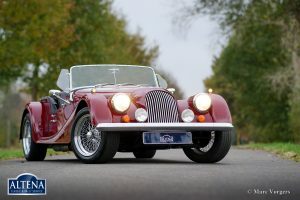 This very impressive Morgan +8 ‘wide body’ is in excellent condition and the car drives perfectly! 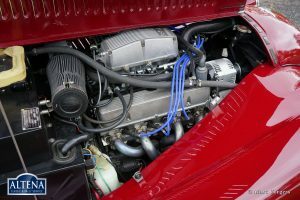 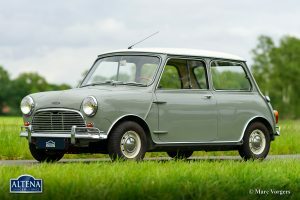 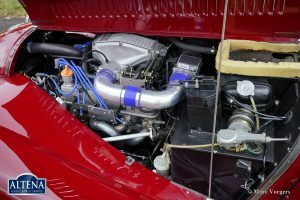 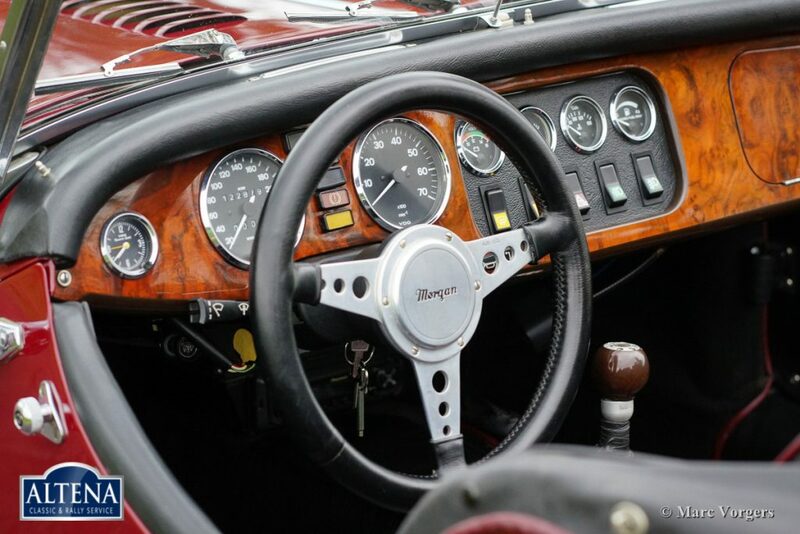 The low weight (about 1000 kg) combined with the powerful Rover V8 engine (about 200 bhp) is a magnificent recipe for a lot of driving fun! 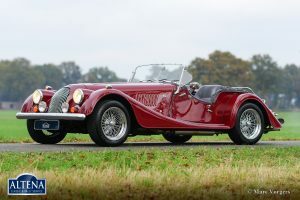 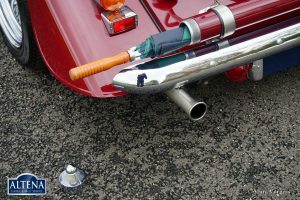 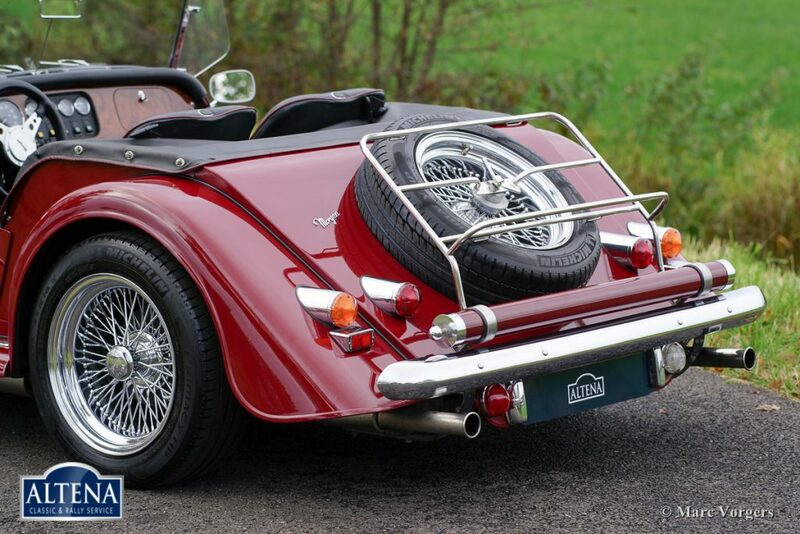 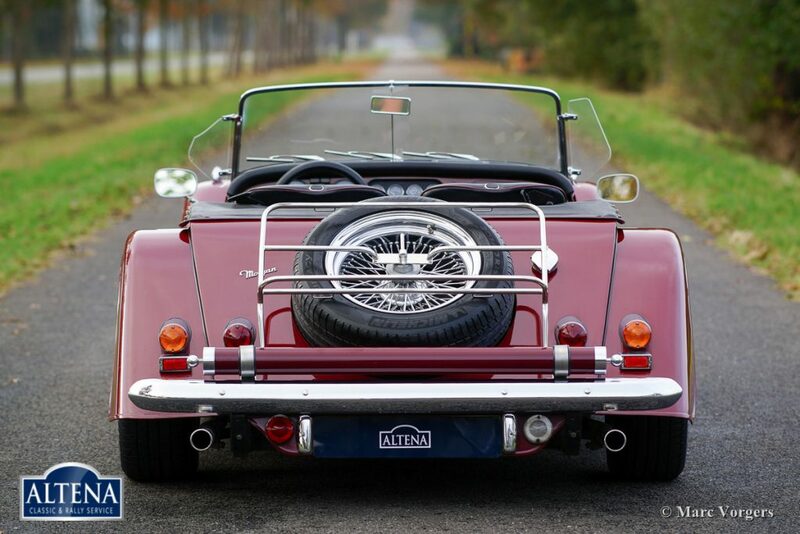 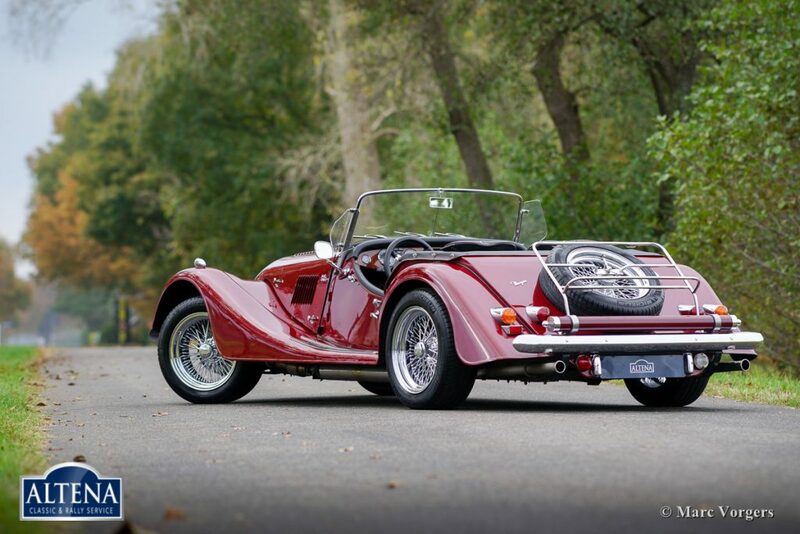 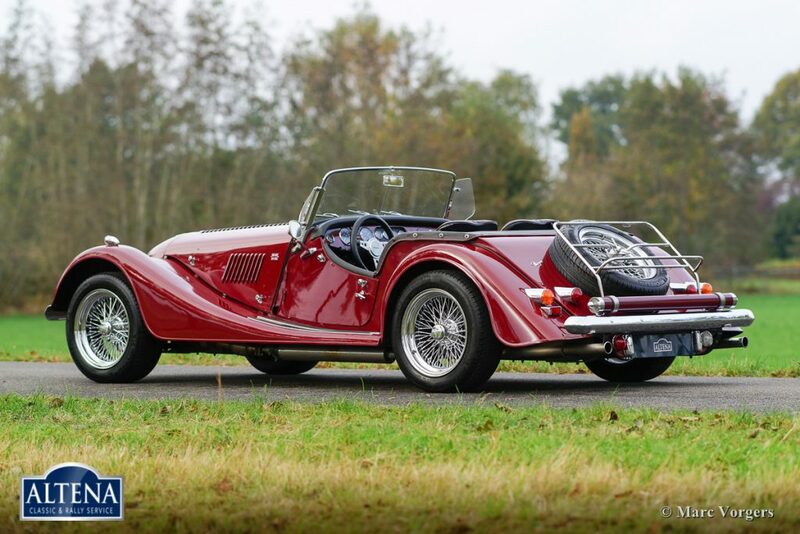 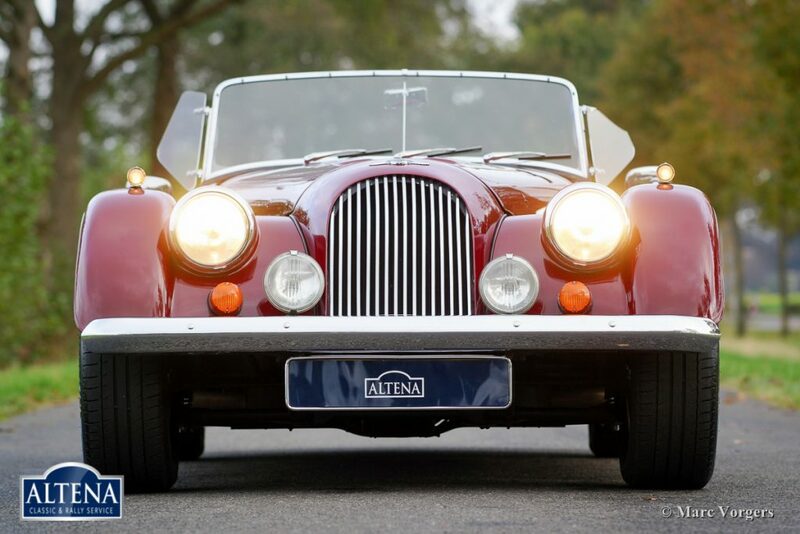 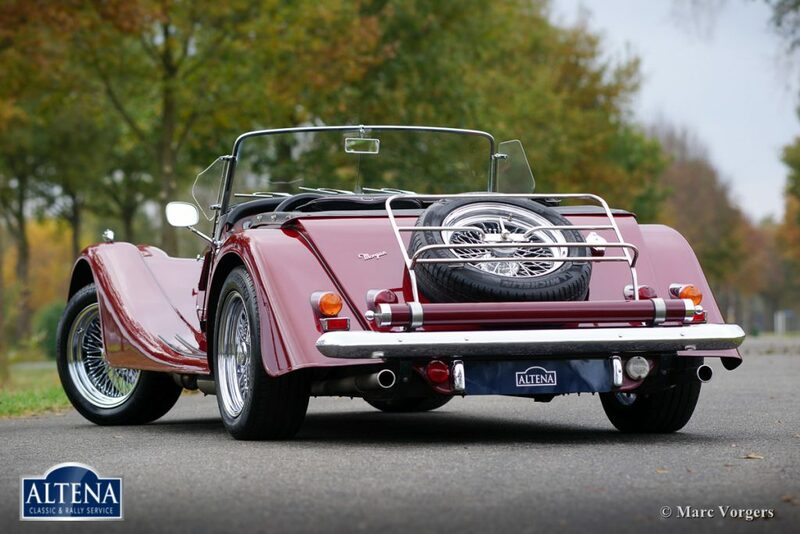 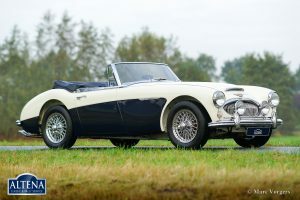 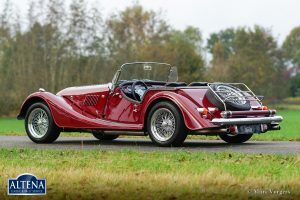 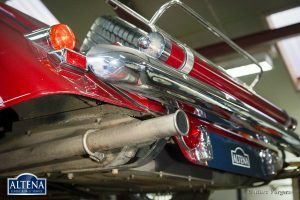 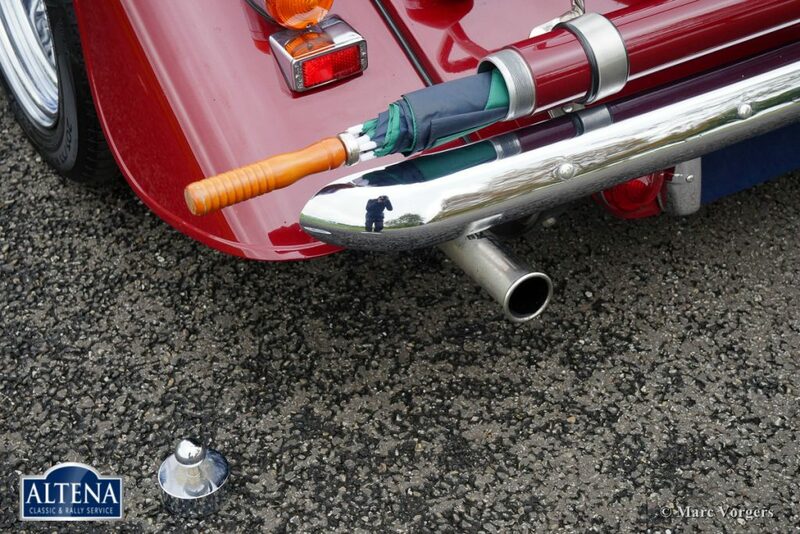 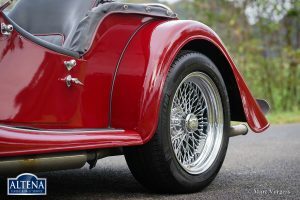 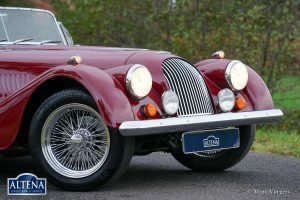 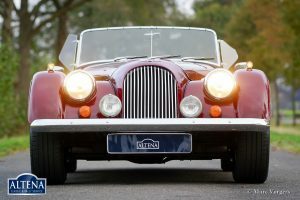 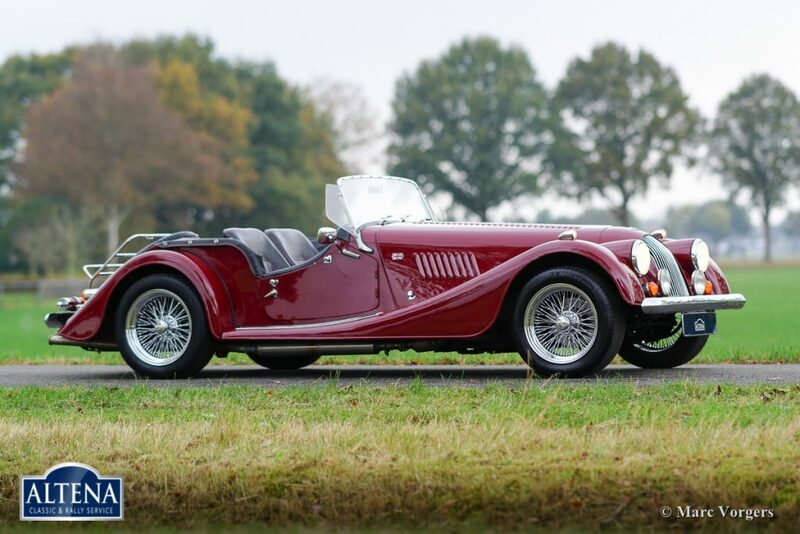 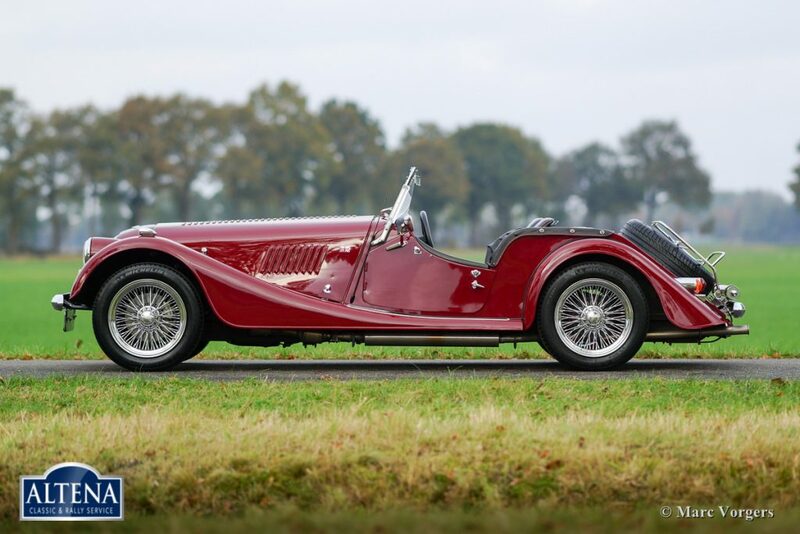 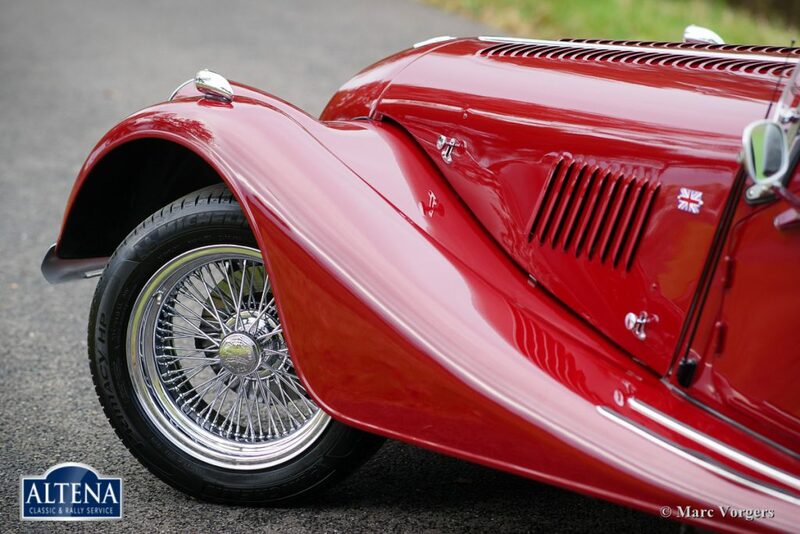 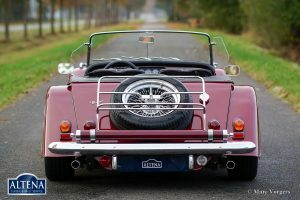 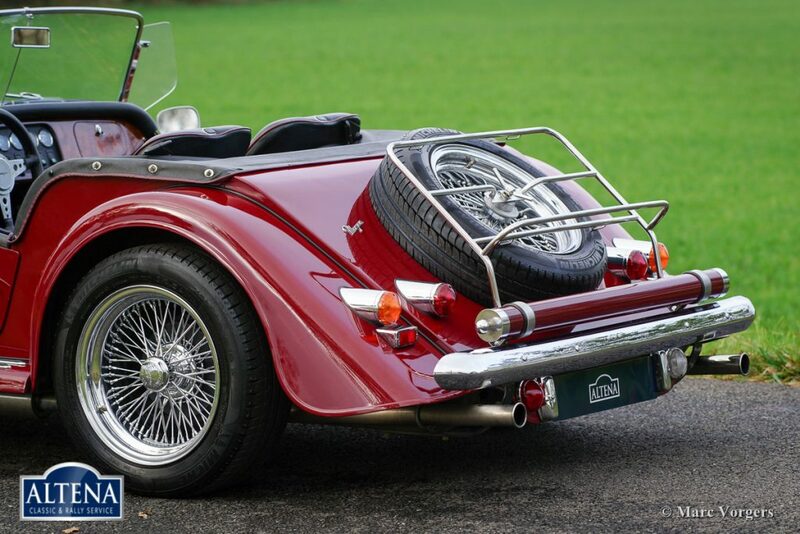 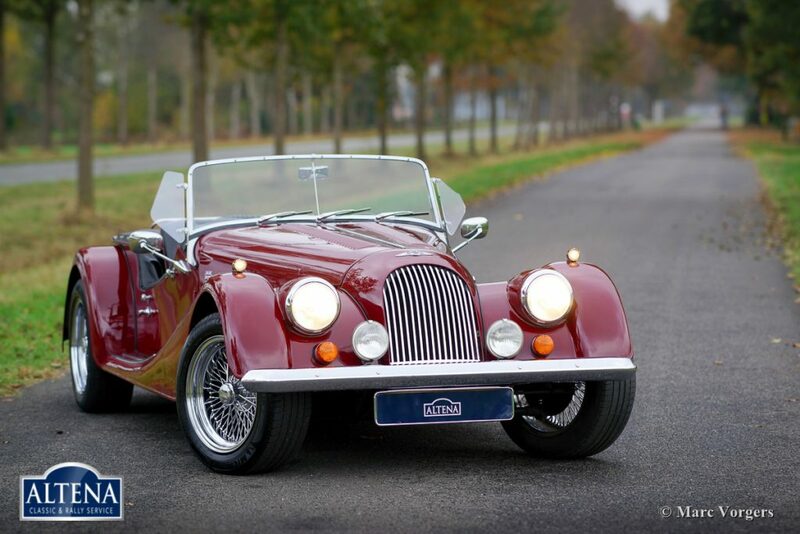 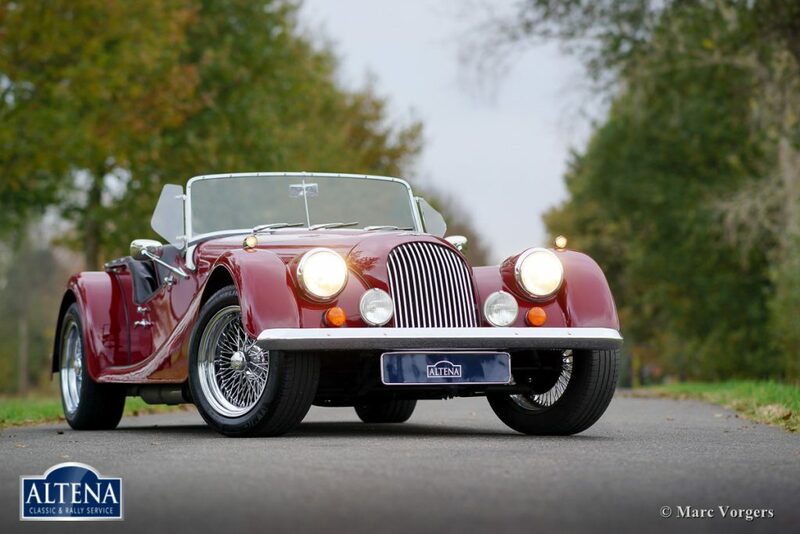 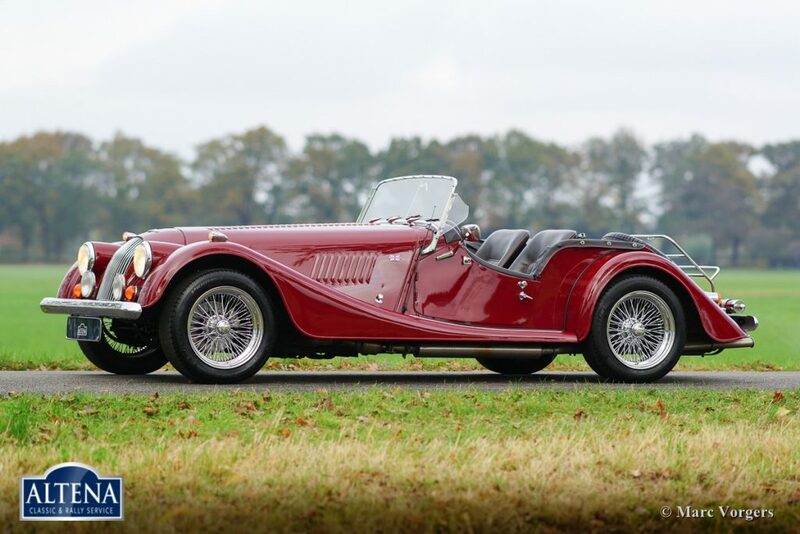 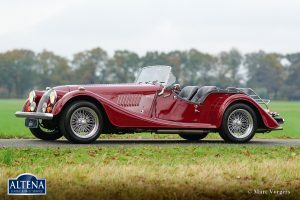 This Morgan +8 ‘wide body’ features the original wide chrome wire wheels, a Stainless Steel ‘free flow’ exhaust manifold, additional driving lamps at the front, a chrome luggage rack and a special umbrella storage tube above the rear bumper. The Morgan +8 ‘wide body’ is a rare car, just over 350 examples have been built. 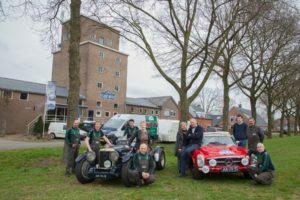 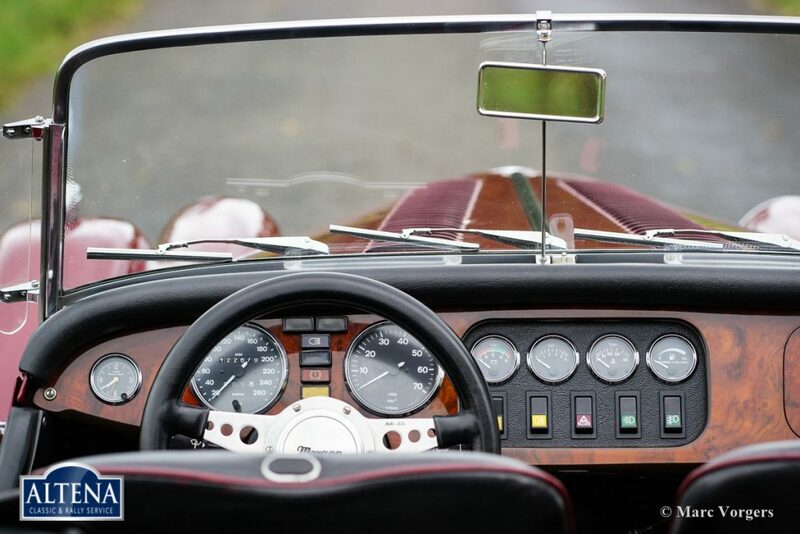 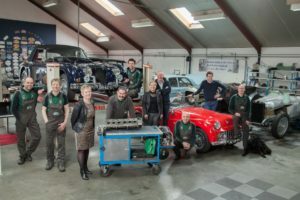 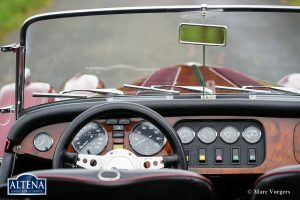 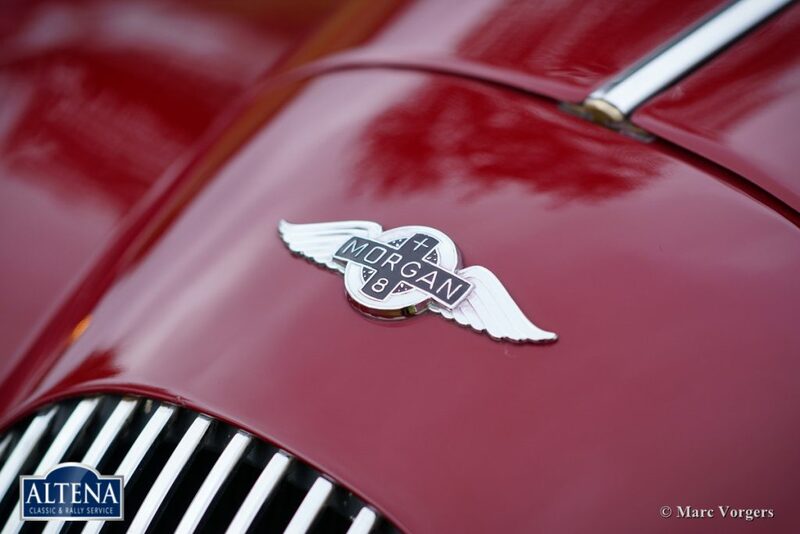 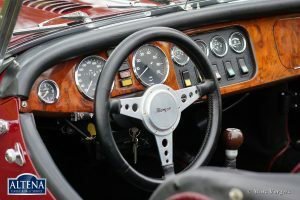 A Morgan is not just a classic car or a modern classic; Morgan is a way of life.